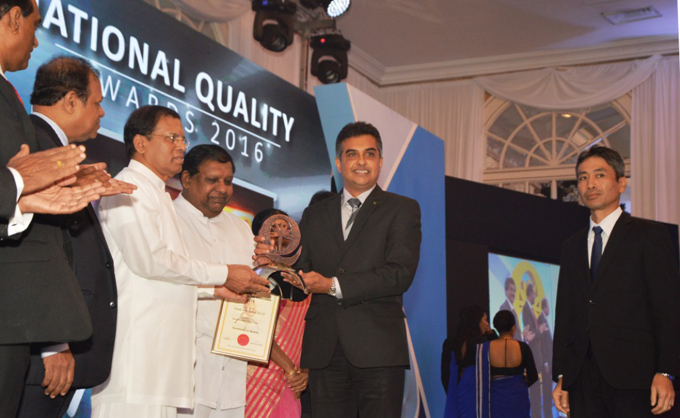 Noritake Lanka Porcelain (NLPL) entered the New Year on a winning note by being awarded the National Quality Award in the Large Manufacturing Category at the National Quality Awards held at the Hilton Colombo recently. Established in 1972 as a joint venture between the Ceylon Ceramic Corporation and the 100-year-old Noritake Co. of Japan, NLPL today enjoys iconic status as Sri Lanka’s pioneer porcelain tableware manufacturing company. Noritake Lanka Porcelain currently exports more than six million pieces of porcelain ware valued at over Rs. 2,500 million. They are marketed in 100 countries across all five continents. NLPL is a major supplier of porcelain ware to leading hotels in Sri Lanka.